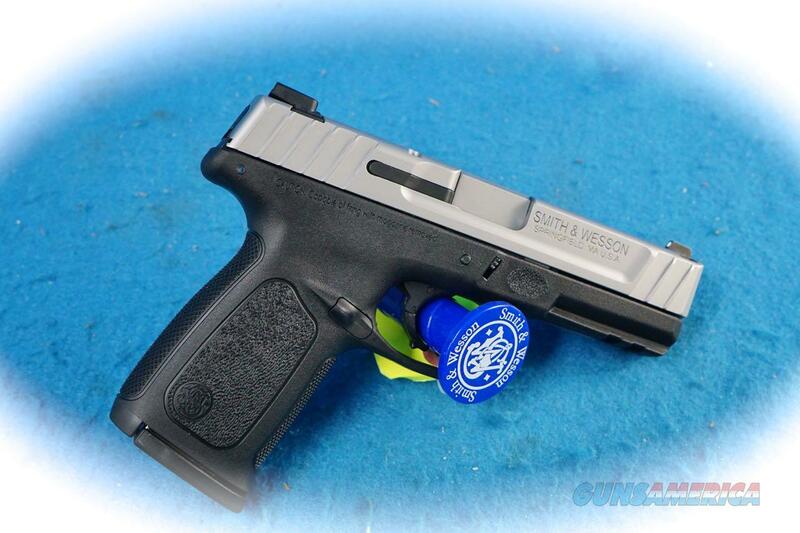 Description: Smith & Wesson SD9 VE 9mm Semi Auto Pistol, Model 229300. Perry's Gun Shop is an owner operated family business with a long heritage of TOP QUALITY firearms and TOP QUALITY SERVICE. We are a stocking dealer and our 20,000 square foot store is nationally recognized by top manufacturers like Browning, Winchester, Beretta, Benelli, Smith & Wesson, Glock, Liberty Safes, Remington, H&K, and over 100 other brands. Sales to North Carolina residents require NC Sales tax. All of the firearms that we have listed are also available in our retail establishment and thus are subject to prior sale in the store. Our business hours are 8:00am to 5:30PM Monday thru Friday and 8:00am until 3:30PM on Saturday. You may visit us on the web at anytime. Please include a signed copy of your receiving FFL’s current license or it may be faxed to the number above. Be sure to include sufficient information with the faxed or mailed license so that we may identify and properly connect the FFL with your transaction. Regrettably, we are not able to offer trade-in’s on our internet sales, however we do consider trades in our retail location. Also we are not able to offer any layaway. We only ship to Licensed Federal Firearms Dealers and we must have a copy of your receiving FFL’s current license on file prior to shipment. There is no surcharge for Credit Cards. Sorry but we do not ship to California. If you are not pleased with your purchase for any reason, please contact Perry's Gun Shop immediately to request a return authorization. Perry's will be happy to refund the purchase price of any firearm(s), not including the shipping costs. Once we receive the firearm(s) back to our store, we will process your refund. Please note, you must contact Perry's within 3 days of receiving your firearm(s) in order to receive your return authorization. Your patronage of our business is appreciated and our commitment to you is always our #1 concern! When reputation matters...PERRY'S GUN SHOP IS YOUR BEST CHOICE!!! Perry's Gun Shop is a owner operated family business with a long heritage of TOP QUALITY firearms and TOP QUALITY SERVICE. Your patronage of our business is appreciated and our commitment to you is always out #1 concern!!! When reputation matters...PERRY'S GUN SHOP IS YOUR BEST CHOICE!! !